Are you as seriously addicted to making bags as I am? The bags go together quickly and make wonderful gifts. They are also a great way to use up those scraps. 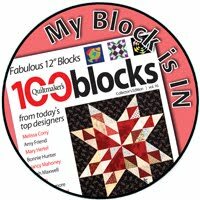 I just love working with solids in quilts and save the small pieces for applique or paper piecing. For the larger pieces, I cut them into strips. For this purpose, the strips can be any width - in fact variety makes for a better final product! My go to solids are American Made Brand (AMB) solids from Clothworks. I love the fact that every step of the process to manufacture this fabric - including growing of the cotton - is done in the USA. The fabric has a beautiful hand and is available is so many fun colors. 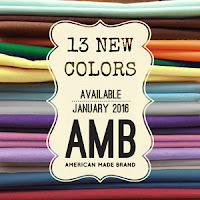 You can find AMB solids at Fat Quarter Shop and many other quilt shops. 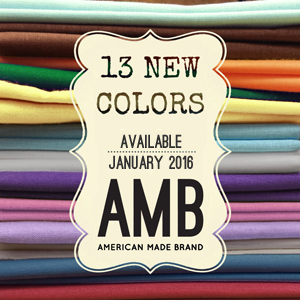 And come January there will be 13 new colors! 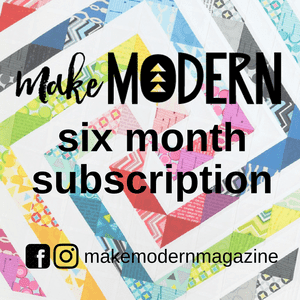 So let's make some fabric using a version of the Quilt as You Go method. Gather your pile of scraps along with a piece of scrap batting and a piece of scrap fabric cut larger than you need for the final piece. (Keep reading for batting alternatives.) Layer the batting on top of the scrap fabric backing. Grab two strips and line them up right sides together across the batting and pin. Sew 1/4 '' seam. For this first example, I put the strips at an 'artistic' angle. Repeat with another fabric strip until you've covered the area. Some of my strips weren't quite long enough to cover the scrap batting so I used a wider scrap and sewed it down at an angle. See that piece of gold in the bottom left corner of the photo? It covered up the issue and will add visual interest to the finished piece. The next step is optional. 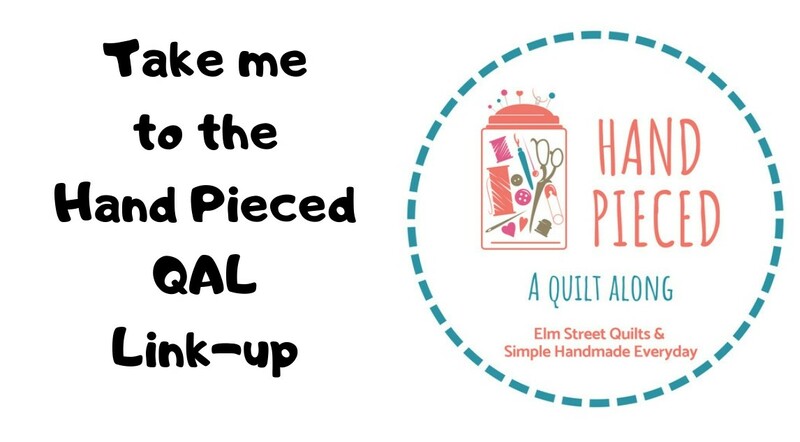 You could decide your piece is quilted enough for the bag you are making or you could decide to have fun and do some decorative quilting. I took the fun option! Cut your piece down to the size needed. I'll be using this piece in a bag later in the series - can't wait to share that one with you! But making fabric with scraps is too much fun to just stop at one! A variation of this method is to use a single layer of fusible fleece instead of using the scrap batting paired with a scrap fabric. Sewing with the fusible fleece on my machine without a backing fabric doesn't cause issues for me. It has enough stability and doesn't shed. I used a single layer of fusible fleece to make this fabric, again using my stash of solids. Then, of course I had fun quilting it! Once quilted, I trimmed and then turned it into this cute zipped bag using the size options tutorial. I also used a metal zipper on this one! The picture doesn't do the rich color justice. This could be my favorite bag from the series! 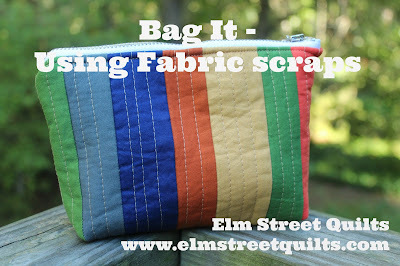 So dig into your scraps and create some fabric to make something new for you or for a friend. Before you go, I had to share the photo of these two bags together. Look how nice they look together! I would call the angled piece of gold a *design decision* - they usually give projects a nice bit of kick! Your quilted panel and pouch look great - the patchwork and quilting make the solids look really special - very nice! Nice idea to prepare sever pieces for future use.